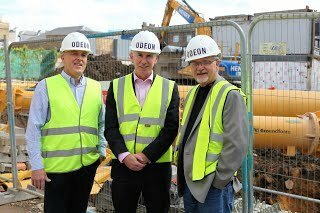 Construction work is nearing completion on the first phase of the London Islington Square development which will be home to ODEON's new six screen lounge cinema, anticipated to open in May 2018. Once complete, Islington Square will form a £400 million 4.5 acre Covent Garden style destination for London. 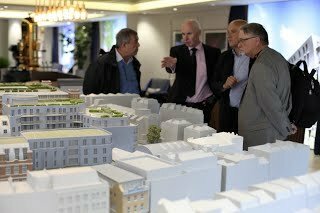 The project is designed by world leading architect Piers Gough and will provide 263 new homes, 108 serviced apartments and 170,000 square feet of retail and leisure facilities, including the flagship ODEON Lounge. The site was previously home to a Royal Mail depot with more than 3,000 uniformed postal workers on site. The Royal Mail has now moved to new premises near the Regents Canal.